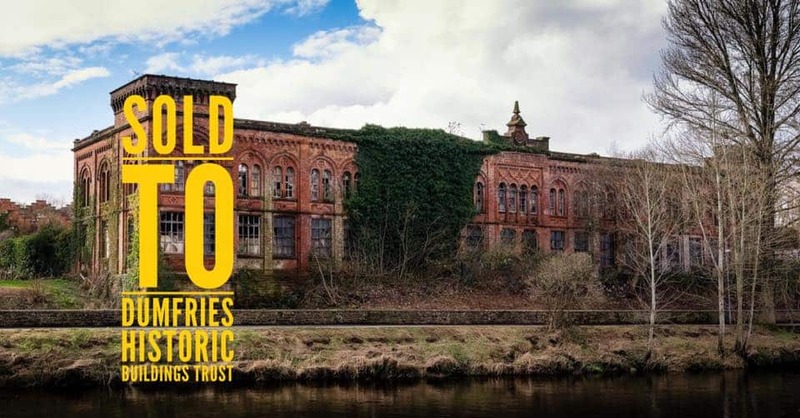 Dumfries Historic Buildings Trust announced earlier this week that they have managed to purchase the derelict Rosefield Mills situated on the side of the River Nith in the town. The sale was completed on Thursday 29th March 2018. A spokesperson for the trust said “The Trust would like to thank the people of Dumfries and beyond, the volunteers of the Rosefield Mills Project Working Group, Dumfries & Galloway Council and everyone involved in supporting the project so far. This is only the beginning of an exciting journey and opportunity for the creation of something special, attractive, accessible and of significant benefit to the community of Dumfries and the region.